Episode 2.01 - Everything Is Great! 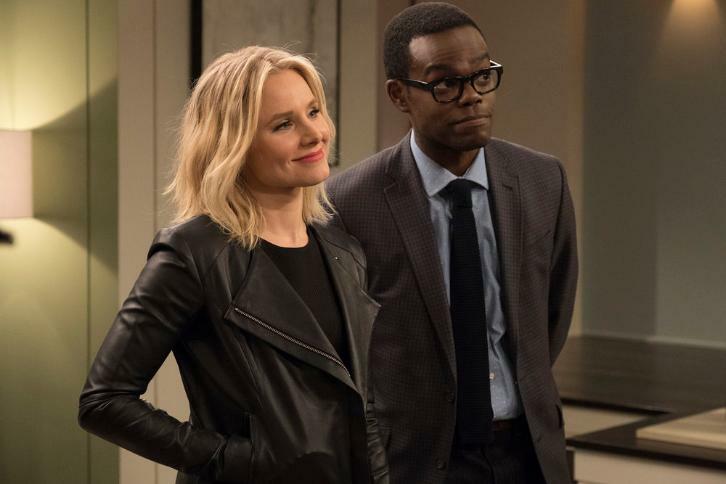 09/20/2017 (10:01PM - 11:00PM) (Wednesday) : IT'S DEJA VU IN THE GOOD PLACE IN THE SEASON TWO PREMIERE - Having had their memories erased by ambitious master architect Michael (Ted Danson), Eleanor (Kristen Bell), Chidi (William Jackson Harper), Tahani (Jameela Jamil) and Jason (Manny Jacinto) again settle into the Good Place, unaware of what has previously transpired...except that Eleanor discovers the one clue she had left for herself and attempts to piece things together. D'Arcy Carden also stars. Some of you may have watched it here, this is the HQ version.